Chris Kiffin enters his first season in the NFL as the 49ers pass rush specialist. He joins San Francisco after spending the 2017 season as the co-defensive coordinator at Florida Atlantic University. With Florida Atlantic in 2017, Kiffin played a vital role in improving the total defense from being ranked 123rd to 63rd nationally, while the Owls finished the season second in interceptions (20), 23rd in red zone defense (77-percent), 24th in sacks (38) and 34th in scoring defense (22.7 points per game). Under Kiffin, LB Azeez Al-Shaair led the Conference USA in tackles (147) and broke FAU’s career total tackles mark (354). Al-Shaair, as well as S Jalen Young, who finished second nationally in interceptions (seven), and CB Shelton Lewis all earned First-Team All-Conference USA honors. Kiffin was named a finalist for the Broyles Award, recognizing college football’s top assistant coach. Kiffin spent the 2012-16 seasons as the defensive line coach/defensive recruiting coordinator at the University of Mississippi. As defensive line coach, Kiffin worked with DE Marquis Haynes in 2016, who entered the year ranked as the 81st-best collegiate player overall by NFL.com. Haynes finished his junior season with seven sacks, 11 tackles for loss and three forced fumbles. In 2015, Kiffin coached Hornung Award finalist and First-Team All-American DE Robert Nkemdiche, who was later taken in the first round (29th overall) of the 2016 NFL Draft by the Arizona Cardinals. Ole Miss defensive linemen combined for 24 sacks in 2015, led by 10 from Haynes, then a sophomore, who tied a school record. In 2014, Nkemdiche was an All-America selection by multiple outlets following his junior season after registering seven tackles for loss and three sacks. Haynes led the team with nine tackles for loss and set an Ole Miss freshman record with 7.5 sacks on his way to Freshman All-America honors. The year prior, Nkemdiche ranked third on the team and second among SEC freshmen in tackles for loss (eight) and was named 2013 First-Team Freshman All-America and SEC All-Freshman. In his first season at Ole Miss in 2012, Kiffin coached DE C.J. Johnson who notched 6.5 sacks, while NT Issac Gross was named First-Team Freshman All-America and SEC All-Freshman after he registered 10 tackles for loss and 2.5 sacks. Kiffin spent the 2011 season at Arkansas State as the school’s defensive line coach. The Red Wolves led the Sun Belt Conference in total defense (331.5 yards per game) and scoring defense (20.8 points per game), ranking in the top 25 in the NCAA in both categories. At ASU, DE Brandon Joiner earned Sun Belt Defensive Player of the Year honors as he tied for third in the nation in sacks (13) and 10th in tackles for loss (19) under Kiffin. He also coached DL Dorvus Woods, who earned Second-Team All-Sun Belt honors. Kiffin joined Arkansas State after serving as an administrative assistant for the University of Southern California defense in 2010. Prior to his time at USC, Kiffin was an offensive quality control coach at the University of Nebraska for two seasons (2008-09) after spending the 2007 season as a graduate assistant at the University of Mississippi. Before his first stint at Ole Miss, Kiffin was a quality control intern with the Tampa Bay Buccaneers in 2006 where he worked with the defensive line during offseason OTAs and mini-camps. Kiffin first began coaching at the University of Idaho where he spent two seasons (2005-06) as a coaching assistant. A native of Tampa, FL, Kiffin played defensive tackle at Colorado State University under then-head coach Sonny Lubick.  He is the younger brother of current FAU head coach Lane Kiffin, and the son of longtime football coach Monte Kiffin.